This is why it's so important to use medically qualified professionals for your favourite non surgical treatments. Whenever the demand for a product or service increases, the industry becomes very competitive. With a competitive industry comes price wars. When you're investing into your appearance, should you shop on price? Non surgical treatments: is cheaper better? There are many variables that can determine whether or not cheaper is better. With most things in life, "you get what you pay for". Also with most things in life, if you buy cheap, you buy twice. That maybe all very well and good if you buy a cheap pair of shoes and the heel breaks off. But what about if you get it wrong with your face? As a rule of thumb we'd say, cheaper is almost never going to be better. Also, you'll need to bear in mind, the lower the price, the higher the risk. If you watched any of the episodes of Botched, you'll know how bad things can go when it goes really bad. Many of the patients that booked into the Botched clinic were severely disfigured, due to surgeons "having a go at it" or letting the patient dictate, rather than the medical professional. Ok, so this could be more a case of, "what happens IF things go wrong?" If you go to a medically trained professional to have some botox®, lip fillers, cheek fillers, non surgical rhinoplasty etc, then you'll be in safe hands. The chances of complications occurring will be reduced to a minimum and in the unlikely event that something goes wrong, a medically qualified professional will know what to do. 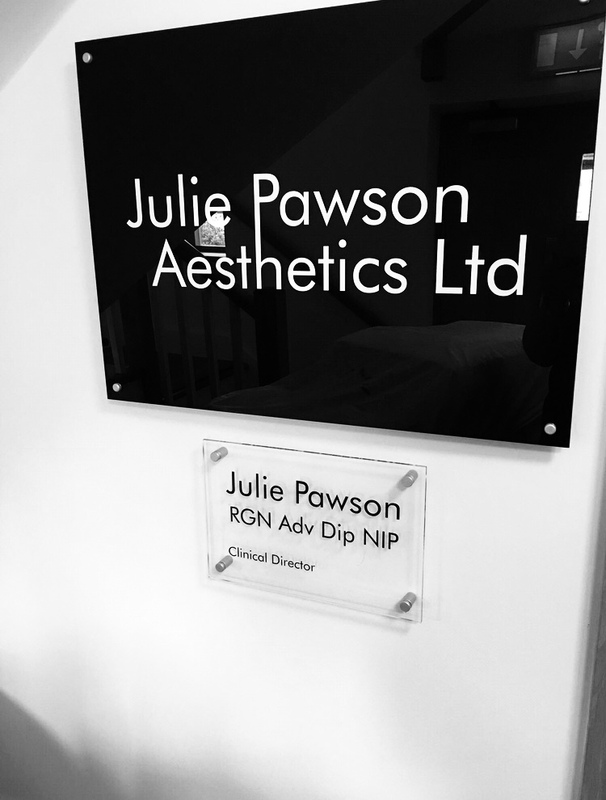 At Julie Pawson Aesthetics, we have prescription drugs that we can give to you immediately, if something did go wrong. This means that any side affects or damage will be avoided. If you go to someone who is not medically qualified they may be fantastic at what they do and give you exactly what you wanted. But unfortunately accidents can and do happen. If they needed to administer emergency drugs, or advise you on what has gone wrong and what you need to do, they wouldn't be able to. That could be the difference between a small issue that can be treated and permanent damage. Is it safe to get botox® and lip fillers? We see many patients on a regular basis. They have been coming to us for years, so by now they have a pretty good idea on what the process is, what the recovery time is and what they want. "Yes, it is safe. There are always risks with any non surgical treatment and we can never give a 100% guarantees. However, we have over 18 years of medical experience and prescription-only drugs in the unlikely event that anything unexpected happens. Not only that, we also offer an aftercare service and offer 24/7 contact to all our patients." In an ideal world, we'd love to provide non surgical treatments for everyone in our professional, friendly and safe Lancashire clinic. If you'd like more information on our treatments, or our clinic. Get in touch today for a friendly chat. Look at price, you might not be able to afford the top prices, but are they too cheap? Ask what filler they use. If you have any further questions, or need advice from us, then please don't hesitate to speak to us. Remember, we may not be the cheapest and there's a chance we may be out of your price range, but we do offer all our treatments with interest free monthly instalment plans (subject to status).